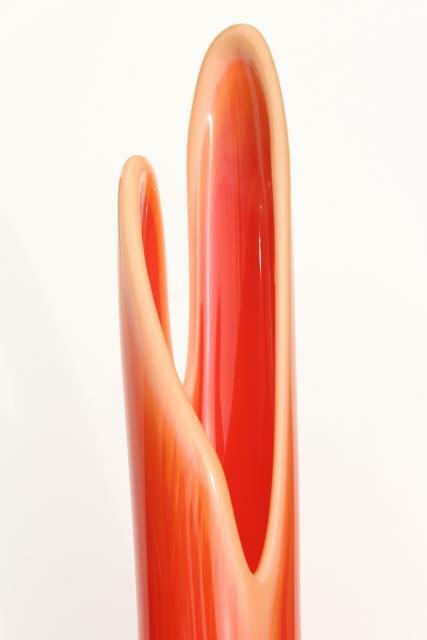 Lot of two different hand blown glass vases, very tall and mod, with great swung shapes. 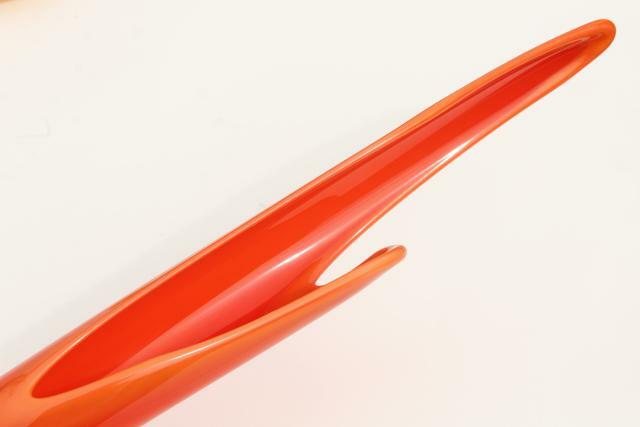 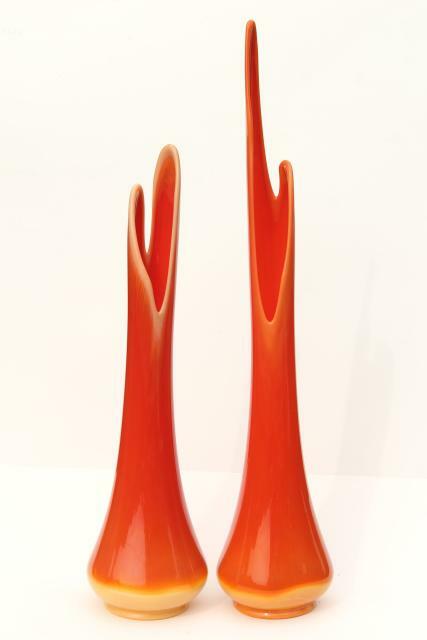 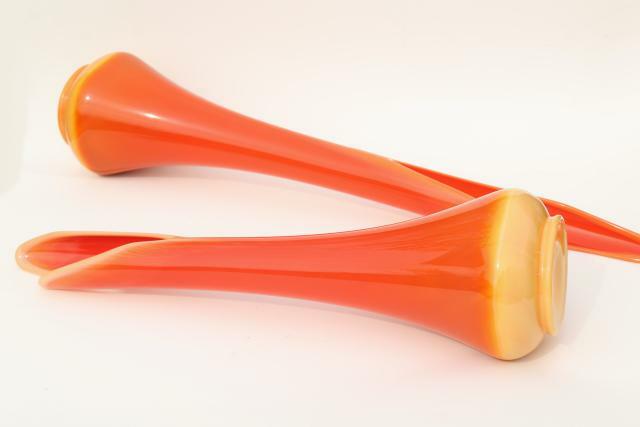 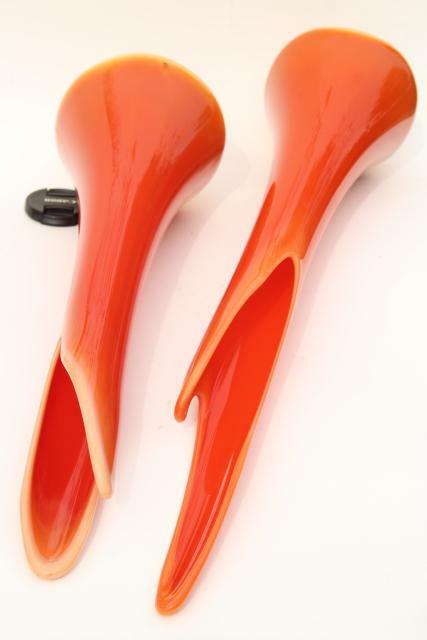 These are a flame orange shaded opaque color, L E Smith bittersweet colored glass, late 60s or early 70s vintage. 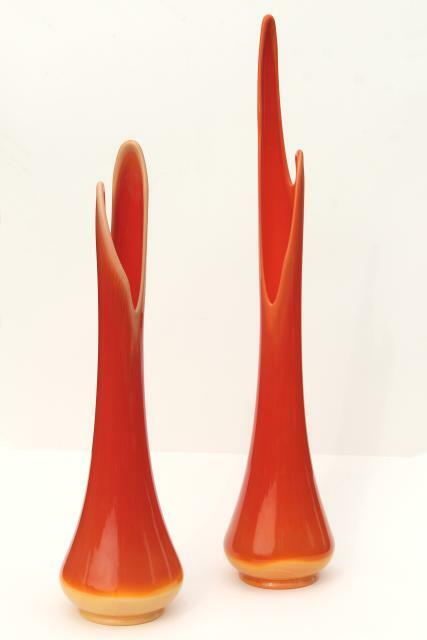 These measure about 21" and 26" tall. 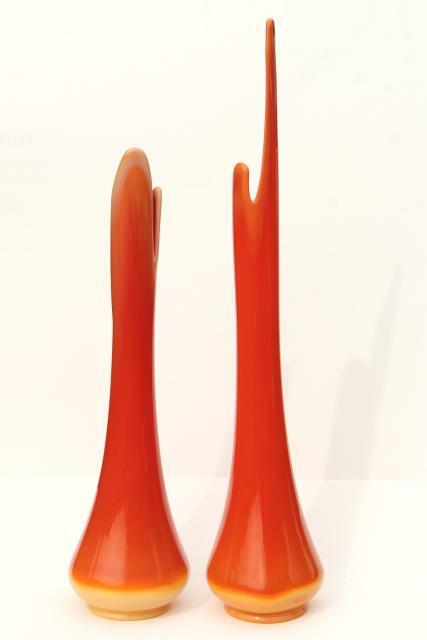 Both are in very good clean condition without damage, gorgeous pieces for display on a low table or the floor!